Dr. Asif Masood, MD is a Doctor primarily located in Spring Hill, FL, with another office in Spring Hill, FL. His specialties include Family Medicine and Hospitalist. He speaks English. Dr. Masood has received 2 awards. The overall average patient rating of Dr. Asif Masood is Good. Dr. Asif Masood has been rated by 7 patients. From those 7 patients 6 of those left a comment along with their rating. The overall rating for Dr. Asif Masood is 2.6 of 5.0 stars. Doctor/patient protocol This something that Dr. Masood must change. When visiting his patients after surgery he must knowledge the fact Or determine whether or not his patient is not in “La La Land” to explain what went on during surgery. And he must not appear to be a “buddy” to his patient. Dr. Massoud should wait until this patient has fully recovered from their surgery anastasia. You should wait for the patient to be coherent before he begins his presentation of what transpired during surgery. This is why I gave him a poor rating. I will not go back to that man. Doctor takes his time with the patients and explains things in an understandable manner. Met him for the first time in Vero Beach. He was humble, respectful, took time to understand my issues and treated me with compassion. I recommended him to my friends. WORST DOCTOR IN THE WORLD !!!!! This doctor should not be practicing medicine. He was treating me for COPD when in fact I had a heart problem and almost died.Please stay away from this man. Take a minute to learn about Dr. Asif Masood, MD - Hospitalist in Spring Hill, FL, in this video. Dr. Asif Masood is similar to the following 4 Doctors near Spring Hill, FL. 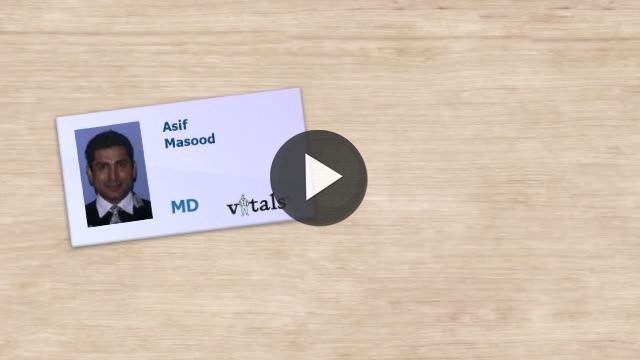 Have you had a recent visit with Dr. Asif Masood? Select a star to let us know how it was.